Developed with care and attention by scientists, our cosmetic products for face, body, and hair, skillfully combine the pleasant scent and the unique properties of Bulgarian rose oil with other natural ingredients. Aromatic herbs grown in the fertile soils of Bulgaria - lavender, mint, lemon balm, and others, have strong healing effects and are the base of many natural beauty products, known and sought after worldwide. The products have wonderful properties which protect skin and hair against harmful environmental influences and the stress of modern times. They contain natural minerals, vitamins and antioxidants which have a soothing, anti-inflammatory and nourishing effect. They offer natural therapy for body and soul and help them stay fresh, youthfull and in excellent condition. Adverse effects of modern life most often affect the skin first. 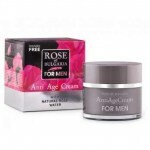 Products based on rose oil are of the highest quality, suitable for all skin types, especially for dry, sensitive or mature, providing a pleasant feeling of health and freshness. They help soothe inflammation and redness, acting as an antiseptic and give smooth texture and radiant complexion. 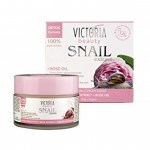 The products have great hydrating properties and delicate nourishing effect. 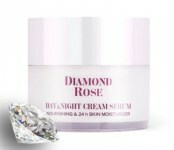 With regular use, skin becomes soft, supple and glowing. Not without reason, since ancient times, beauty is compared to the flower of rose.